After the United States had acquired a vast territory from France in 1803, expeditions were sent out to explore the waterways and resources of the Louisiana purchase. In 1804-06, the Lewis and Clark expedition made stops in Dixon County. These explorers, seeking a water passage to the Pacific, explored territory adjacent to the streams traveled. It was approximately eighty years ago when the first settlers set foot on Dixon County soil. 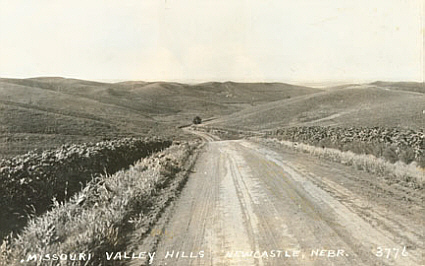 The early history of this section of country dates back to the time of settlement of that part of eastern Nebraska along the Missouri river lying north of Fort Calhoun. At the time of settlement all territory west of the river was unchartered. As settlement advanced surveys were made and counties outlined and organized. The first record of any white man in this part of the state was the log of the Lewis and Clark expedition.Their first landing in northeast Nebraska was at the mouth of Omaha creek, about three and one-half miles south of Dakota City. Another stop was made about twelve miles up the river from Ponca, where the expedition paused to explore the flat valley and replenish their supplies. 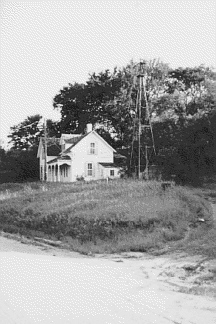 It was at this same location in Dakota County that the first white settler landed in the summer of 1855. He made a canoe trip up the creek for several miles, and was so impressed with the lay of the land and its abundant productivity that he determined to return east and bring his family and others back the next spring. His glowing report of the country he had found led others to come to this section. Many settlers followed, land was homesteaded and towns sprang up. The ensuing two or three years saw the towns of Omaha, Dakota City, Covington, St. Johns, Ponca, Ionia and Newcastle thriving, all working for prestige and the county seat. As the rush of new settlers increased they pushed further westward and the county of Dixon was laid out. In 1856 settlements were made along Aoway and South creek valleys, Lime, Daily and South creeks. The settlers usually located along the wooded creeks to be near water and fuel supply as well as to enjoy the productive valleys through which these streams flowed. They usually settled in close proximity for greater protection against Indian attack and prairie fires. This concentration of settlers was the beginning of trading posts or towns. Postoffices were located in various parts of the county, many in farm houses. Soon trading posts were needed for the settlers' groceries, clothing and other supplies, because the market towns were too far distant to be reached by ox team. Usually a store was built, followed by a blacksmith shop, school house, church and homes. An occasional government boat passed up the river with supplies for the forts established in different parts of this territory. Fur traders and other travelers also brought the settlers supplies. Later commercial boats began plying the river. Dixon county was first settled in 1856 and the county was organized by an act of the legislature in December 1858. It was part part of what was known as the Northwest Territory, or Indian country, until the Territory of Nebraska was organized by and act of congress March 4, 1854. In June 1854, the Omaha tribe ceded by treaty to the United States all the territory west of the Missouri river except the Omaha reservation. The west side of the river was then rapidly settled and the organization of counties followed. The early settlers brought little with them and their funds were scarce. 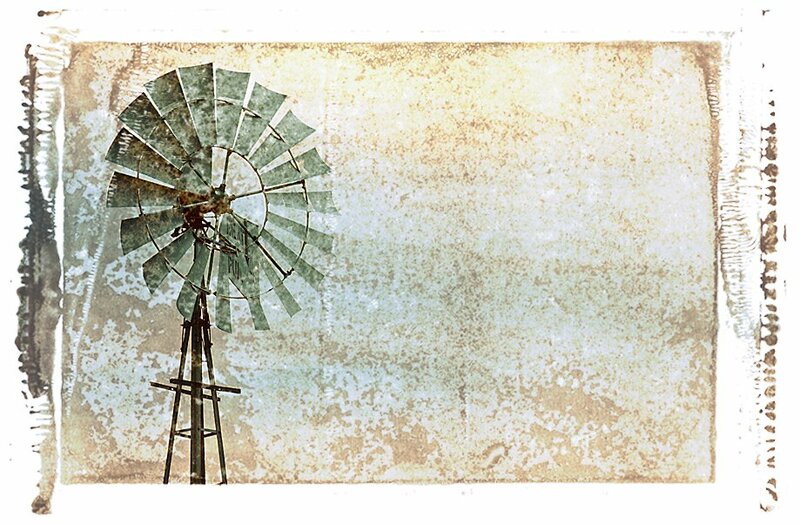 But their energy and indomitable will overcame pioneer hardships and privations, until the fertile prairies were transformed into groups of happy and thrifty homes. The general contour of the country is rolling. Along the Missouri the land is hilly and rough, with numerous high bluffs, covered with much native timber. Oak, black walnut, cottonwood, elm, ash, box elder, willow and some hickory, ironwood, dogwood, soft maple, coffee bean and basswood could be found. There is sandstone and limestone in the hills of the northern part of the county, and these materials were used extensively in the early day for building purposes. In some localities a good brick clay was found, giving rise to numerous brick yards which were in business many years. Farther from the Missouri, the land is gently rolling, and fewer trees were found. It was estimated there were about 10,000 acres of native timber in the county when it was first settled, but the early pioneers used much of it for building and for fuel, as well as cutting it for sale down the river. Prairie fires, too, killed an enormous number of trees. The only extensive effort at replacement was taken by the national government, which allowed a homesteader an extra 40, 80 or 160 acres as a timber claim. Upon this land a fixed number of trees had to be planted for a certain number of years. This act gave rise to many groves of cottonwood and box elder. Prairie fires in early days and droughts between 1934-40 have decimated these groves, and killed many fruit tress. In the early days wild nuts, berries and fruit were plentiful, but today most of this growth is gone. 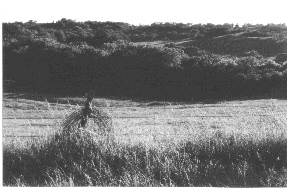 In the early days, too, the flat country was covered with a luxuriant growth of native grasses. Frequent prairie fires and extensive cultivation, however, have reduced the acreage of wild hay and grasses to almost nothing. Severe drouths in 1858, 1859, 1864, 1877 and 1894 caused many settlers to leave in discouragement, some going westward to search for gold. But some of those who left returned later, and newcomers were continuously arriving, so that by the end of the century, all Dixon County's land was occupied. During the month of July in 1894 and 1896 the state was visited by hot winds and any crops not harvested before then were withered and burned. Grasshoppers, too, have troubled Dixon county. There were invasions of the insects in 1857, '73, '74, '75, and '76, and for several years after 1934. The 1874 plague was by far the worst. The insects arrived one morning in clouds so thick they obscured the sun. When they left that night little or no vegetation remained in the county. Every green stalk and the leaves of trees were stripped. The county has had its share of severe winter weather also. In the winter of 1880-81, there was a heavy snow about Oct. 12. Thereafter it snowed every few days, until the county was covered ten feet deep in level places. No one left his house that winter unless it was absolutely necessary, and there were few fatalities. In other winters there were blizzards, which usually came up with such swiftness that some persons were surprised away from home and perished. One of the worst of these storms was on Feb. 12, 1872. The morning dawned bright and clear, with no hint a storm was approaching. Joseph Bolsom and G.W. Packer, each with a team and sled, went that morning, to a grove about two miles from their homes to cut wood. When it began snowing they loaded their sleds and started for home, but the storm became so severe they could not see each other and became separated. Packer reached home late in the afternoon, and supposed Bolsom had been able to do the same. But the next morning Bolsom's body was found with his team, only half a mile from the house. Another victim of the same storm was a man known as "old man Austin." He had gone to the Indian reservation six miles from home, for wood. He became lost and froze to death. Google has digitalized the complete book online. They have a PDF file available for you to download for free and for personal use only. NOTE: To post a query you must visit the query page and it will be posted at the time of submission. Please notify me if you are having problems viewing this web site or there are broken links. I am begining to recieve lot's of new requests to post items on the Dixon county web site for other researchers to enjoy and to aide in their research. Keep the submissions comming, they are great and appreciated by all of our Dixon County Researchers. Gardner Public Library has digitized the WAKEFIELD REPUBLICAN newspaper beginning 1892 to present. Copying is permitted for noncommercial, educational use by individual scholars and libraries. This message must appear on all copied material. All commercial use requires written permission. The next winter another sudden blizzard caused several deaths, including that of Henry Harden and his 12 year old grandson. Their sleigh with the boy's frozen body in it was found two days later. Mr. Harden's body was never located. Best know of course, is the blizzard of Jan. 12, 1888. This storm covered North and South Dakota, Minnesota, Nebraska, Iowa, Kansas, Oklahoma, Colorado, and eastern Wyoming. It caused no recorded fatality in Dixon county, however. Most of the county school teachers dismissed scholl before the storm reached its peak, and a few kept their pupils in the school house until the blizzard abated early in the morning. There were numerous Indian scares in the early days of the county. Before the coming of the white settlers, this region was inhabited by the Dakotas, Omahas and Poncas, the latter being in the majority. The Ponca's principle camp was on the north side of Aoway creek, near the present town of Ponca. The Omahas camped on the west side of the county, on Dailey creek. These two tribes had frequent battles until the Poncas ambushed their enemies close to the Missouri, killing almost all of them. By the time the first white settlers arrived, the tribes were so decimated by battles among themselves that they were not particularly dangerous-except, of course, when they got some "fire water." 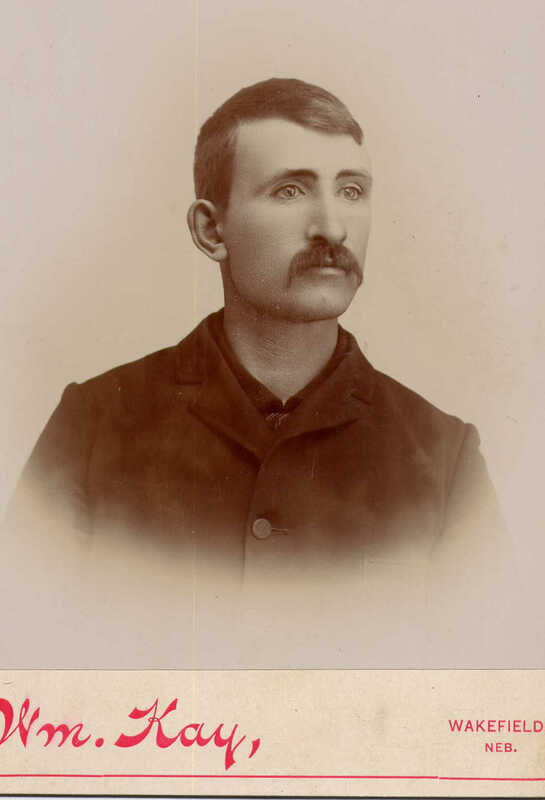 The county's first murder occurred in 1870, when the body of W.C. Dunn was found in a grove a few miles from Ponca. He had been on his way to buy land in Ponca, and was killed and robbed by a man accompanying him there from Sioux City. The son of a saloon keeper was suspected, and traced to Council Bluffs. After being returned to Ponca for trial, he confessed, and was promptly hanged. Railroads began to supplant the earlier horse and ox teams in September 1876. The first road, however, was a narrow gauge, cheaply constructed line, and extended only to Ponca. The construction company went bankrupt in 1878, and was sold a year later to the Chicago, St. Paul, Minneapolis and Omaha company, which reconstructed the road with standard gauge track and more efficient equipment. Dixon county had issued $87,000 in bonds to build the line, and now felt it had been defrauded. The United States supreme court approved the claim in 1884. The St. Paul and Nebraska Railroad Company started grading the Omaha branch from Coburn junction by way of Emerson, but then this company sold to the C. St. P. M. & O. In 1880 a branch was built to Emerson and in October the company bought 100 acres there for a townsite. In November the line was completed to Omaha. Construction proceeded in other directions almost until the beginning of the century and until the county was well supplied with rail facilities. Dixon has been the scene of several county seat battles, one of which occurred before Dixon County was organized and was still part of Dakota county. The first Organization of Dakota included the city of Ponca, which made a bid for the county seat along with Dakota city, St. Johns, Covington and Logan. At an election, St. John received three more votes than Dakota City, but lacked the necessary majority, so the latter city remained the county seat. In the act organizing Dixon County, the city of Ponca was included within its boundaries, and it it was required that the county seat be voted on. Ionia, Concord and North Bend were the county's other towns and put up a hot fight for the county seat. Ponca, however, had a greater population than the others combined, and obtained a majority in the election. Other elections on the question of county seat removal were held in 1875 and 1884, but Ponca succeeded in getting a small majority each time. There have been other county seat fights, the most recent in 1939, but none has been successful. The first county election resulted in the naming of John Cavanaugh, H. A. Fuller and J. Massinger, commissioners; Edward Arnold, clerk; John Malone, treasurer; J.B. Debton, judge; and C.F. 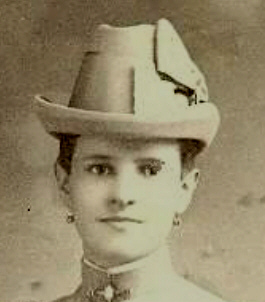 Putnam, sheriff. First representatives were D.J. Bramble in 1857; James Barrett, 1858, and N.S. Porter, 1864-67. When the county was first organized it was under the commissioner form of government and had three such officers. In 1866, it was changed to township organization, with fifteen supervisors, who were reduced in number some years later to eight. Ponca was also the site of Dixon county's first school house built in 1862. After completion of the county's organization in 1859 school taxes were assessed. Formation of school districts followed in the sixties, increasing as the county became more thickly populated until there were nearly one hundred districts. Recently, however, some districts have been consolidating, in order to build larger and more complete schools. My name is Robin (McCloud) Mosier and I am your County Coordinator for the Dixon County NEGen Web Project. As you will notice, not all Dixon County records are online at this time. However, we are striving to make this possible through the very generous contributions made by fellow Dixon county researchers. While I am unable to personally assist you with your research, I will try my best to get as much information online as quickley as possible as time permits. Please consider posting a query along with the surnames that you are researching or questions that you may have pertaining to Dixon County as this will help you to obtain contact with others that may be researching your family or the topic you are interested in. I have never had the pleasure of living in Dixon County, but I certainly have very fond memories of the many days that I spent with my grandparents William and Leone (Mapson) McCloud on their farm just outside of Newcastle. The people and the beauty of Dixon County truly makes it a special place. This Photograph was submitted by Madeline Millard. It was discovered in an old photo album belonging to the SIMMONS/CORMENY/UDEY family from the Antelope County, NE area. Some related surnames from the album and the area are: Barca, Baumgardner, Beer, Cormeny, Cummings, Curtright, Fruhof, Helwig, Human, Logan, Lytle, Perrine, Simmons, Udey, Weaver, Webster, and Wyvel. I went searching for an ancestor. I cannot find him still. He moved around from place to place and did not leave a will. He married where a courthouse burned. He mended all his fences. He avoided any man who came to take the US census. He always kept his luggage packed, this man who had no fame. And every 20 years or so, this rascal changed his name. His parents came from Europe. They could be on some list of passengers to the USA, but somehow they got missed. And no one else anywhere is searching for this man So, I play geneasolitaire to find him if I can. I'm told he's buried in a plot, with tombstone he was blessed but the weather took engraving and some vandal took the rest. He died before the county clerks decided to keep records, No family bible has emerged in spite of all my efforts. To top it off this ancestor, who caused me many groans. Just to give me one more pain, betrothed a girl named JONES. 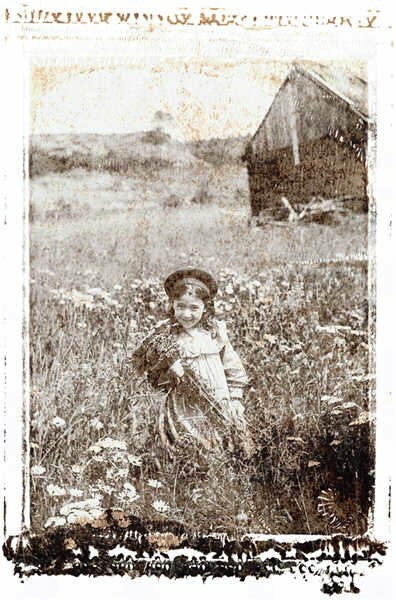 This photo is from a old photo album belonging to Laura Ann Douglass Niswender 1855-1919 of Lucas County, Iowa. Laura is the daughter of Noble Douglass 1818-1907 of Lucas County, Iowa. This picture is from a Wakefield, Nebraska Studio and is believed to be a Dixon family membere Submitted by Genia Niswender Berry. To read more about this family.